There are two types of cure – standard and extended. The standard cure lasts 1 month, the extended one 3 months. From experience, we recommend to apply the standard cure and, at the end, depending on the achieved results to extend the length of the cure, i.e. switch to the extended one, or to terminate the cure. The standard cure is designed for body weight adjustment by several kilograms, normalization of cholesterol levels and cleansing of the lymphatic system. The extended cure – as a direct and sequential follow-up of the standard cure – is designed for weight-wise adjustment to a larger extent, normalization and stabilization of cholesterol levels, complete cleansing of the lymphatic system and detoxication of the body. LymfoTranzit: 4 cups of 250 ml during the day. 1 cup is prepared by dissolving 5 ml of the Lymfo Transit concentrate (one teaspoon) in 250 ml of water. After each 10 days, a 3-day pause is added. The cure has a slight course. Only individuals who have a weakened lymphatic system, at the beginning of the cure for a few days (3-4), can get swelling in the feet. It is a natural process to be counted on, but it is not necessary to do anything with it – it will be gone away. There is no need to restrict meals during the course of the cure. Of course, avoid fat and sweet, do not overeat or eat in the evening. There is no point in starting to watch weight loss at the beginning of the cure. Before you begin the cure, check your weight taking record of the result. Then check your wight after 14 days. Record the result. Next, check your weight weekly. Keep in mind that your weight is also affected by your mental state. 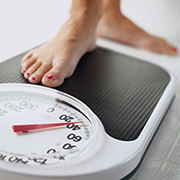 In some people, a good or bad mood may cause a 1-2 kg fluctuation. In the extended cure, we recommend at the beginning of the second week using the Moroznik balm, which effectively prevents “sagging” of the skin getting rid of subcutaneous fat. In addition, the balm enhances the effect of the cure and strengthens the body proportions.